This week’s PlayStation Plus update adds Monolith Productions’ Guardians of Middle Earth to the ever-changing list of titles available for free in the service’s Instant Game Collection. 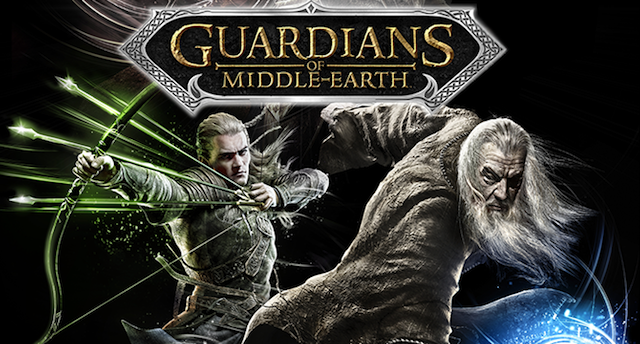 Based on Tolkien’s The Lord of the Rings franchise, Guardians of Middle Earth is a five versus five Multiplayer Online Battle Arena (MOBA) that has players take control of over 20 different “Guardians” from the popular film series (Gandalf the Grey, Sauron, Bilbo, etc.). As is typical of any MOBA, each character has different strengths and weakness for players to use/exploit as they work together to help their team conquer the battlefield. Karateka (Original price: $9.99; PS Plus price: $5.00) – A unique rhythm-based fighter (which is based on the 30-year-old classic martial arts sidescroller of the same name) where players listen for musical cues that will tell them how many hits an enemy will make, so that they can effectively block and counterattack. Big Sky Infinite (Original price: $9.99; PS Plus price: $5.99) – A randomly-generated sidescrolling shooter that has players take control of a spaceship as they fly though an alien armada. As players progress though the game the difficulty ramps up with harder enemies and bosses. Big Sky Infinite is Cross Buy enabled, so buying it will allow you to play both the Vita and PS3 versions of the game. Knytt Underground (Original price: $9.99; PS Plus price: $5.00) – Players explore a vast world set hundreds of years in the future after all human have disappeared from the planet. The game features multiple story driven quests spread out over more than 1800 different rooms. Sony also noted the deal that provides 3 bonus months of PlayStation Plus for anyone who purchases a one-year membership is good though March 4th. Considering all that the $50 subscription offers, it’s a heck of a bargain for anyone who already has a PS3 or Vita.